When each aspect of a business is managed meticulously, you’ll know that profit margins are increased, worker morale improves, and deadlines are reached with less fuss. This is obvious. What you may not be aware of, however, is that by placing your complete faith in the men and women who operate your fleet, you may be hemorrhaging money. This isn’t because your drivers are incapable of getting from A to B, or are unable to improve their stats and follow instructions if you tell them to. They may be genuinely unaware of the bad habits they have picked up over the years, and as a result, they too are unaware that they are costing your business money. That’s why a telematics system makes sense as a financial investment. The latest statistics from the AA show that, due to OPEC production cuts, the average cost of diesel now stands at 124.4 p/litre, and the average cost of unleaded has increased to 121.9 p/litre. That’s a lot of money to expense over an entire fleet, and with a telematics system you can track exactly where each driver needs to improve to enable you to start saving money and increase your profit margin. How, you ask? Let us take you through it step by step. How much does poor driving cost? 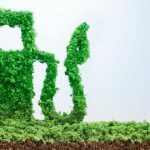 According to a study published by the American Economic Review in 2011, fuel makes up around a third of a fleet’s marginal costs. That’s already significant, and as we have seen, the cost of diesel and unleaded isn’t getting any cheaper. The last thing you need is to have your costs driven up even further by inefficiency. So how much extra does each bad driver in your fleet actually cost? Well, according to a study published by Direct Line last year, poor drivers spend around 67% more on fuel than the best drivers; which in real terms is a waste of nearly £50 per driver per month! That’s huge whatever the size of your fleet, but it follows that if you run a medium to large size company which relies heavily on the efficiency of a fleet with more drivers, then your costs are bound to grow exponentially. The study analysed 319,000 journeys made by over 2,000 drivers and when the numbers are broken down further they look even more stark. For example, the best drivers spent an average of £837 per year on fuel, whilst the worst spent a massive £1,399. The difference between the top 10% and the bottom 10% was as large as 75%, with the very best drivers spending only £812, and the very worst spending £1,424. What makes poor driving so expensive? The short answer to what makes bad driving expensive is, of course, inefficiency. The same study demonstrated above showed that the best drivers averaged a distance of 693 miles between petrol station fill ups compared with just 413 miles for the worst. Again, what this means in real terms is that good drivers make only 12 visits to the petrol station every year compared with 20 visits for bad drivers. That’s a difference of 40%. It should also be kept in mind that inefficiency at its worst means a disregard for safety, and a disregard for safety means an increased risk of causing an accident. According to the latest statistics from the UK Department for Transport, there were just under 180,000 road accidents in 2016 resulting in either injury or death. 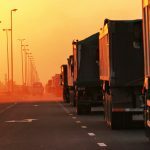 That means a lot of potential litigation, and since you are ultimately responsible for the drivers in your fleet, if someone gets into an accident that means you are likely to be liable for legal costs and there is a potential knock-on impact for your company’s reputation. The US National Safety Council estimates that as many as 64% of all traffic accidents are caused by distracted drivers. They identified texting as the most dangerous distraction, with an increase of almost 23% in road traffic accidents for drivers who texted compared with drivers who didn’t. Texting whilst driving in the UK is illegal. If you don’t already, encouraging efficiency from your drivers not only reduces fuel costs but can reduce the number of accidents caused by dangerous driving. On the one hand, engine idling, for example, can cost around £0.03 per minute, whereas speeding can add up to 33% extra in fuel costs. It’s a good start to drill efficiency as a concept into your drivers, but unless you have a way of tracking it yourself, you will be at a loss as to measure how much money you’re potentially saving. That’s why telematics is a good investment; since for drivers it allows for efficient route planning, the delivery of debriefing sessions (which break down a driver’s journey mile by mile), highlighting to drivers where their shortcomings lie and showing exactly which areas to improve. For financial directors, fleet managers and managing directors, it gives you an accurate set of data to draw upon, where you can focus on developing training programmes to suit individual employees and construct league tables to encourage a bit of healthy rivalry between drivers. Perhaps you can even offer monthly or annual incentives to ensure that drivers hit their targets more regularly. None of this is meant to demonstrate that drivers aren’t valuable company assets with a lot to offer, and we recognise that driving as part of a fleet can be a difficult and consistently challenging job. What we at TomTom Telematics want to emphasise is that there are always ways of optimising your fleet so that it’s the best that it can be, and having been at the forefront of driver optimisation for nearly 30 years, we like to think we know a thing or two about it! Initial staff resistance is going to be inevitable, but so long as employees are regularly consulted, and they fully understand the significance of optimisation, the transition from free-roaming fleet management to telematics could be seamless. Telematics provides a flawless auditable record, encourages safety, provides legal security, and of course, saves companies a lot of money. So have a look at our fleet management system today and reap the rewards of a more streamlined business.